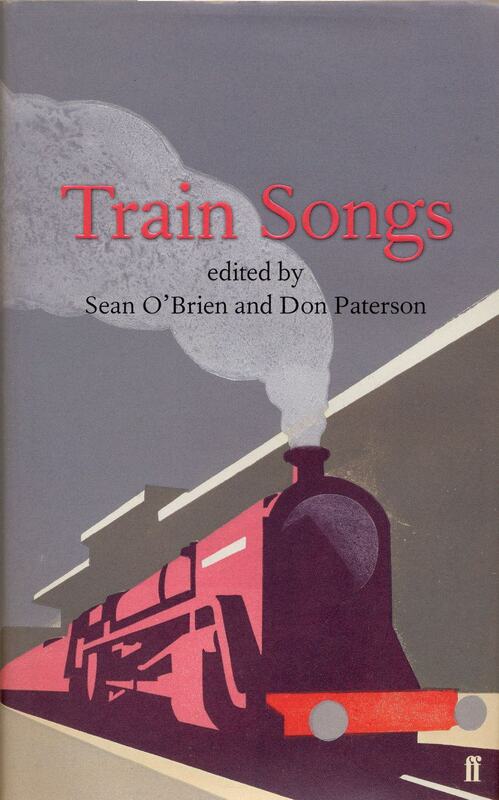 Readers will not be surprised to learn that there is no shortage of poems about trains and railways. The age of steam in particular lends itself as readily to poetry as do love, death and the natural world, because the railway train participates in all of them. It is hard to name an invention since the Industrial Revolution which has proved as accommodating to poetry as the train, while among its predecessors perhaps only the book and the ship have offered so much to the imagination. In comparison the car seems poetically negligible (though rock and roll has done it honour) while space travel is as yet an extremely rare alternative to cocaine for those who have too much money. So it would not be difficult to assemble a railway anthology along what seem like familiar lines, stoked by nostalgia and comfortably uncoupled from the insistent realities of politics, economics and war. That is not what we wanted to do, and the experience of preparing this book has taught us afresh that the train's songs are not only many but ungovernably various and yet mysteriously connected. Ken Smith's Zoo Station at midnight is not much like Edward Thomas's Adlestrop, which does not resemble Auden's Gare du Midi, yet all are accessible to each other by train. Despite her rather different concerns Ruth Stone's 'Train Ride' might pass Elvis Presley's mysterious long black train en route. Jean Sprackland and Hugo Williams might be seated on the same stopped train, entertaining their very different thoughts. Flanders and Swann's sweet elegy for the death of the slow train at the hands of Dr Beeching seems hardly to be part of the same universe as Dan Pagis's desperate note from a train bound for the Nazi death camps, though clearly it is. It would take another Bradshaw and unlimited resources to devise a schedule for the multitude of journeys poets have taken We have instead favoured a vivid sample based on our own enthusiasms but at times hospitable to poems that, rightly or wrongly, passengers expect to find along the permanent way. Part of the train's appeal is its relationship to time. The train moves into the future on its iron road while provoking a complex nostalgia that has accompanied it since birth. Almost as soon as the railway arrived in Britain it began to depart. After the railway boom of the 1840s, the empire of the tracks seems always to have been defending and withdrawing from its own frontiers, even as the railways underwent growth on a continental scale in Europe and the Americas. In the USA the history of the railroad has proved more ruthless: the train created the modern nation in its drive westward, and entered the poetic imagination indelibly as it did so, in blues and workmen's songs, but America now often seems for the most part a land of torn-up tracks and demolished bridges where the lonesome whistle must be heard in memory rather than fact. John Fogerty's cross-tie walker, navigating his discontents along the tracks, would find he had nowhere to go. Got no sand in my pocket, you know I ain't tied down. Ain't no sand in my pocket, never do sit down. I'm just a cross-tie walker, where the freight trains run. If you see me acomin', don't you waste my time. 'Cause there's more miles between us than the Santa Fe Line. The very experience of train travel seems unknown to many US citizens nowadays and, like the bus, the train is often associated with poverty, at a time when in Britain the cost of taking the train is becoming a luxury rather than a matter of everyday utility. Our societies have often used the train badly, yet we know it to be as close as earthly things come to perfection. The train is a time machine that works in both directions and in none. Time can be made to stop when the train moves us to reverie. Lost time can also be fleetingly regained by travellers in restored carriages on lines preserved by the generous monomania of enthusiasts, even as the engine with its scarves of smoke and steam moves away into the future. As Douglas Dunn wrote in 'Going to Bed', 'sonorous locomotives pull away from time / into the night of may-blossom'. It is no accident that the most famous illustration of relativity involves an observer in one train watching another train pass. Such a vehicle of mystery and paradox could have been purpose-built for the poet. It is unfortunate that outside the sphere of steampunk we shall never know what Donne and Marvell would have made of the engine, the parallel tracks, the irresistible forces and immoveable objects. On the other hand, we certainly do know what Wordsworth thought when a railway to Windermere was proposed: he was by no means keen. This was the Wordsworth who wrote sonnets in favour of capital punishment, rather than the one who knew the experience of bliss. Since his time, though, the notion of the rural has for many become inextricably bound up with the railway. The arrival of a train at a country halt, as in 'Adlestrop', seems the very definition of Georgian pastoral in the early twentieth century. And at the same time a largely townee population has used the view from the carriage window as evidence of another, preferable England where things are done differently and better, in the colours of any preferred decade  at which point the borders of imagination and sentimentality threaten to blur, and the view needs the refreshment of a more problematic response. One such is Lars von Trier's deranged cine- poem, Europa, which opens with tracks disappearing into the dark behind a train, while Max von Sydow intones: 'You are now entering Europa', namely Germany, to which an idealistic young exile has returned just after the war to work as a sleeping-car attendant as the rail system is rebuilt amid the ruins of the defeated nation, while stay-behind Nazi Werwolfunits sabotage the trains in the permanent night of the film. The industrialized railway-driven nightmare of the Holocaust is evoked the more starkly by remaining unseen. If it were possible to transform Europa into language we would have included it here. In the popular imagination, though, where trains go romance follows. The train was made for the cinema as well as for poets. Hitchcock understood the eroticism of the time capsule of the railway carriage: his heroes and heroines meet on trains in England (The Thirty-Nine Steps), the Balkans (The Lady Vanishes) and in the American Midwest (North by Northwest). In this view life is dangerous, glamorous and exciting, with a strong narrative shape. The traveller in Britain, at any rate, knows this not to be true, but lives in hope of a suspension of ordinariness. As for ordinariness, in one of the best of all railway poems Philip Larkin presents a time  the mid-1950s  when couples would set out by rail for their honeymoons (and when Whitsun was still a significant date in the calendar). There's not much glamour in 'The Whitsun Weddings'- it is a study of provincial England but there is a sense of quiet awe at human possibility in the closing image of the arrow-shower fired 'as the tightened brakes took hold'. Just to get a little brew. If we lose the railways we shall not just have lost a valuable practical asset whose replacement or recovery would be intolerably expensive. We shall have acknowledged that we have forgotten how to live collectively. If we throwaway the railway stations and the lines leading to them  as we began to do in the 1950s and 1960s  we shall be throwing away our memory of how to live the confident civic life. It is not by chance that Margaret Thatcher  who famously declared that 'there is no such thing as Society. There are individual men and women, and there are families'  made a point of never travelling by train. If we cannot spend our collective resources on trains and travel contentedly in them it is not because we have joined gated communities and need nothing but private cars to move between them. It will be because we have become gated individuals who don't know how to share public space to common advantage. The implications of such a loss would far transcend the demise of one system of transport among others. It would mean we had done with modern life.